Government forces killed no less than 1044 civilians, including 139 children (five children a day), no less than 123 women, and no less than 74 victims who were tortured to death, including a child (three deaths under torture a day). The percent of children and women victims reached 26%, which is a clear indication of the purposed targeting of civilians by governmental forces. Governmental forces killed no less than 207 rebels by shelling operations or during clashes. Killed 16 civilians including eight children and a victim who was tortured to death. A. 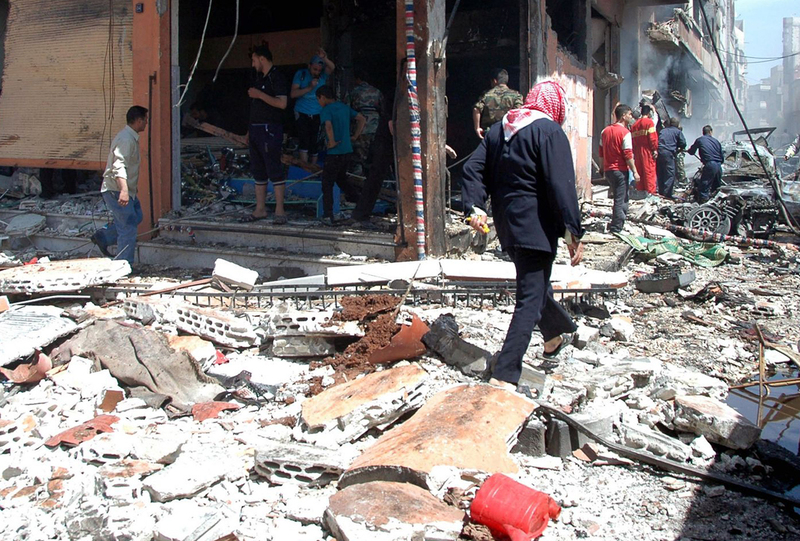 Civilians: 34 civilians were killed including a child and a victim who was tortured to death. B. Rebels: Daesh killed no less than 10 during clashes with armed opposition factions or by field-executing prisoners. A. Civilians: killed five civilians including two victims were tortured to death. B. Rebels: killed 33 rebels during clashes with armed opposition factions or by field-executing prisoners. A. Civilians: killed 91 civilians including 23 children, 18 women, and a victim who was tortured to death. B. Rebels: five rebels were killed during clashes between armed opposition factions. We recorded six killings by the international alliance forces including three women.